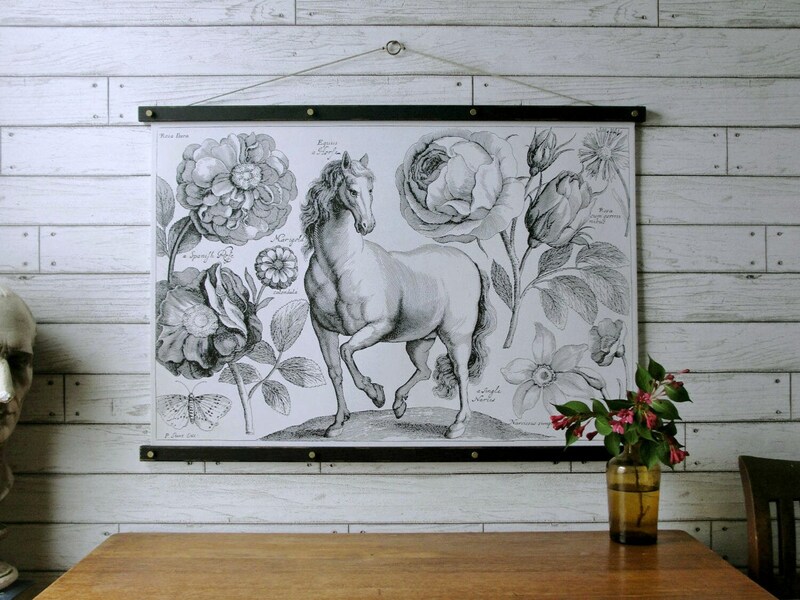 This print features a beautiful depiction of a Horse and a variety of flowers. The artist is Wencelas Hollar (1607-1677). He produced a variety of works; his plates number some 2740, and include views, portraits, ships, religious subjects, heraldic subjects, landscapes, and still life in many different forms. + Hand finished with 100% non-toxic and organic milk paint and wax. 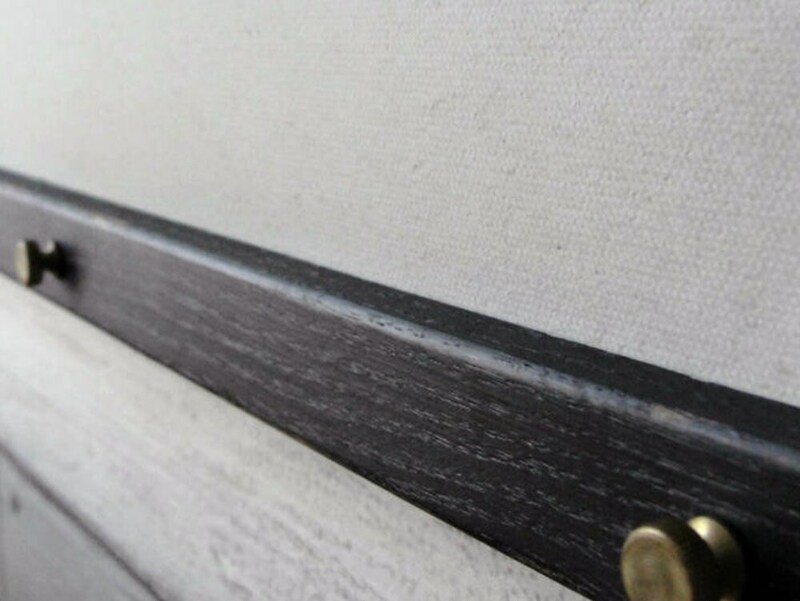 You can choose either Raw Oak, Old Oak or Black Oak. Raw Oak has no finish. See picture three for choices. + Includes your choice of hemp, black or bakers twine with brass ring for hanging. See picture four for choices. + the 36" x 27" size is pictured with Black Oak Hangers. Beautiful poster and fabulous wooden hanger - love love love! Easy to assemble and hang. It shipped on time and it looks great.